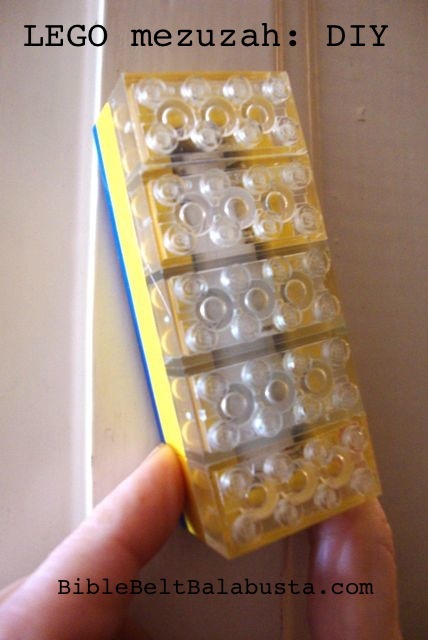 Dreidels are great teaching tools. 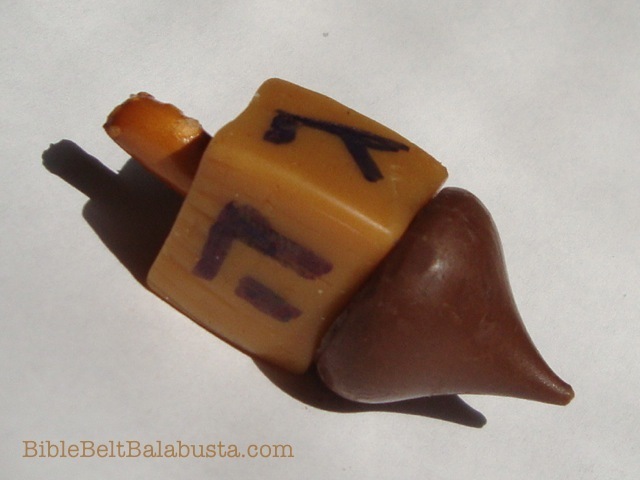 To paint and decorate a dreidel means a kid learns the 4 Hebrew letters and how to form them, and the Hebrew acronym that points to the reason for the season: Nes Gadol Haya Sham (A great miracle happened there.) 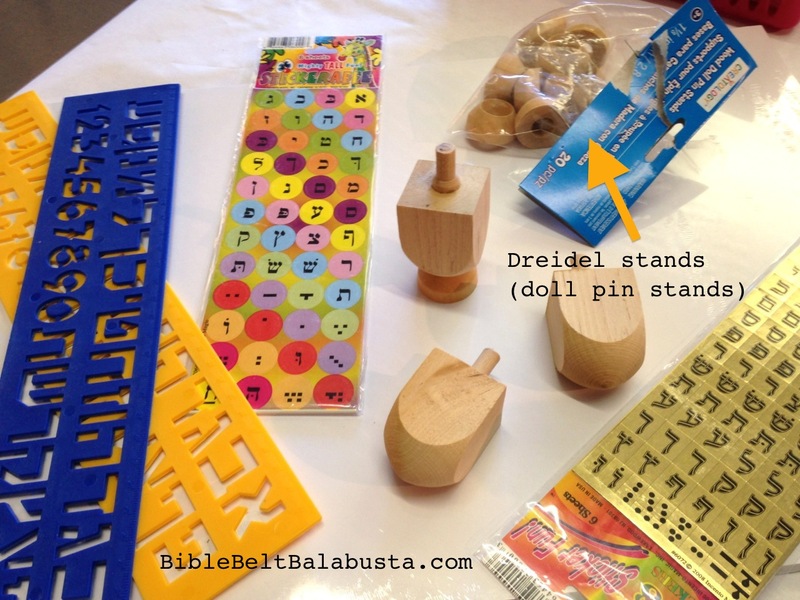 And, there’s the dreidel game, of course, which reinforces the letter names, and all the fine motor stuff. Here’s my printable cheat sheet for all the letter info (good for showing to kids as they create). 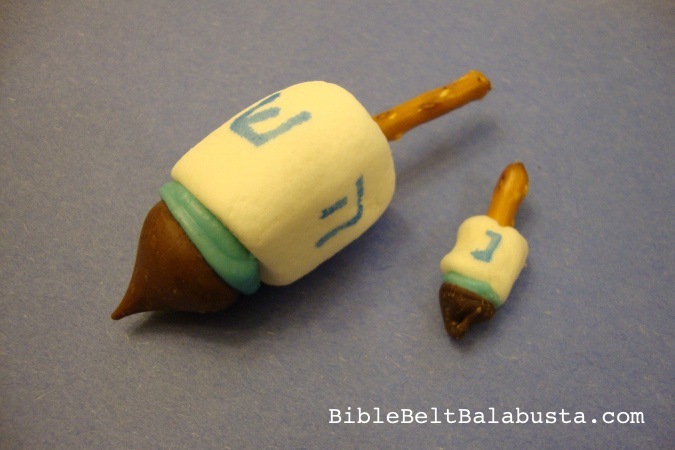 There’s still time to get blank wooden dreidels for a class, party, home or carnival. My supply is manufactured by JET but also sold by Benny’s Educational Toys in bulk. Kids can paint with washable paint, which ends up being more of a color wash (wood grain shows through most colors), or with tempera, poster or acrylic. For a subtle wash, watercolors work, too. When dry, kids can add lines with metallic Sharpies or ordinary permanent pens. If you despise paint, let the kids go nuts with broad waterbased markers. 1. The most valuable way is to let kids freehand the letters. Careful kids may prefer to form the letter with a pencil to allow for mistakes, and then trace over it with a Sharpie. 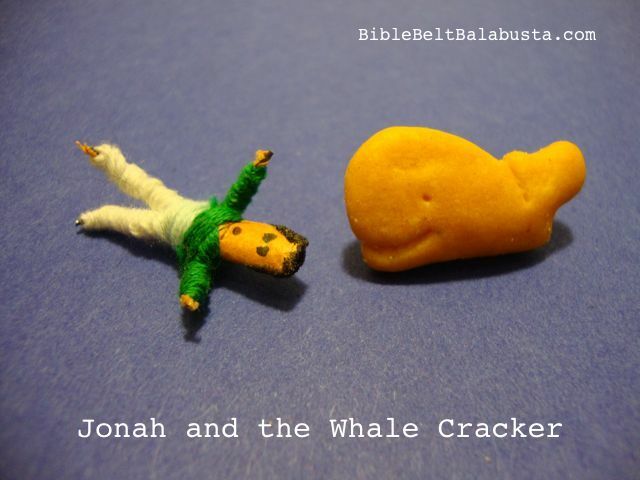 Give them examples of block letters Nun, Gimmel, Hey and Shin to mimic. 2. Stencil: Kids figure out which of the letters on the whole stencil are the letters they need, then hold it steady while using a well-sharpened pencil. Then,they trace back over the pencil lines with marker. Stencils are tricky. 3. Stickers: WHERE are the stickers for dreidels? 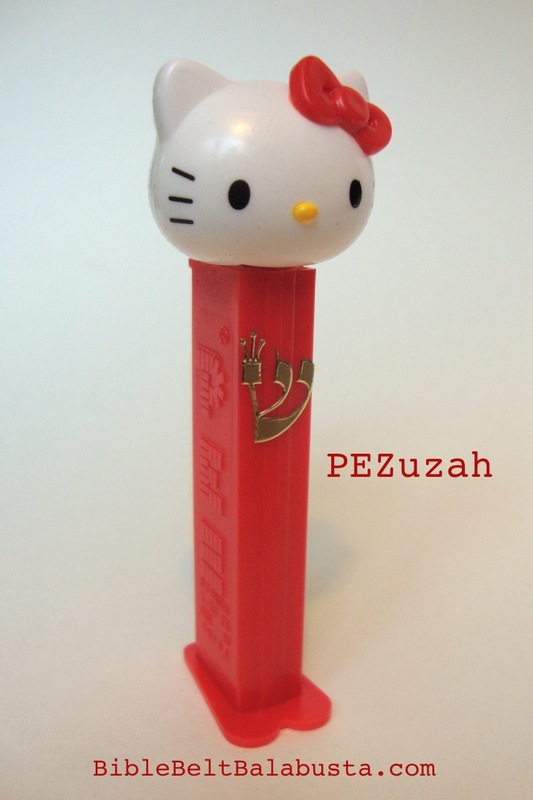 I want a pack of stickers with JUST Nun, Gimmel, Hey and Shin. If you’ve seen any, send me a link, please. Every year, I have to order full sheets of the Aleph-Bet in order to harvest just those 4 letters for each kid’s project. I could make my own sheets with Avery labels, but I never think about it in time. I do not advise foam stickers because they add weight and bulk to a dreidel and could hinder the spin. All our foam stickers fell off and had to be super-glued back on. Not fun. Other sticker possibilities are listed at one of my LEGO dreidel posts, here. FINISH: I sprayed a clear coat on all our dreidels this year because we used water-based paint and the stickers needed a bit of persuading to stay on. Every kid gets a paper plate as work surface. Not the wax-coated kind (which are a petroleum-based product and are too slick to absorb extra paint). Kids write their name on the plate and we can keep up with who made what. STANDS: See the bag of little wooden rings in the picture at the top of this post? These circles are ideal stands for dreidels (and also make good feet for homemade menorahs here and here). 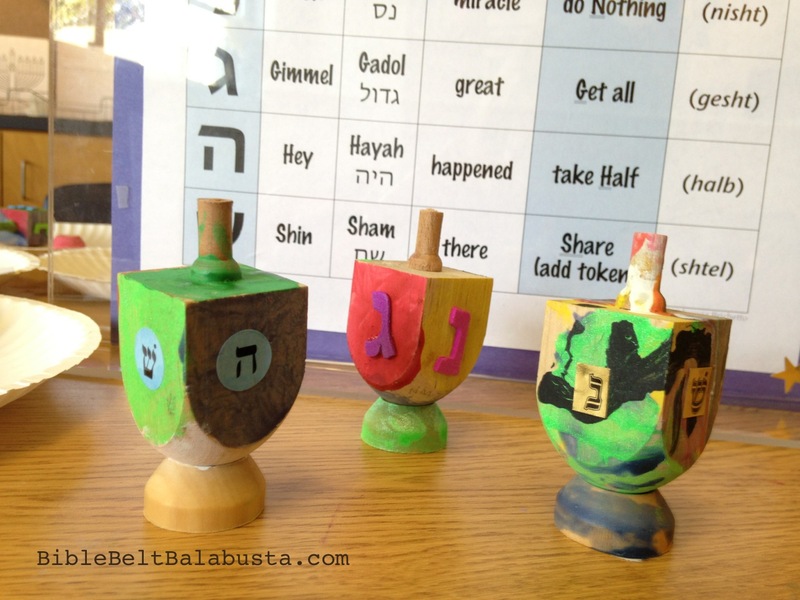 If a dreidel is poised in a ring, kids can paint all four sides and all the way around the handle, too. 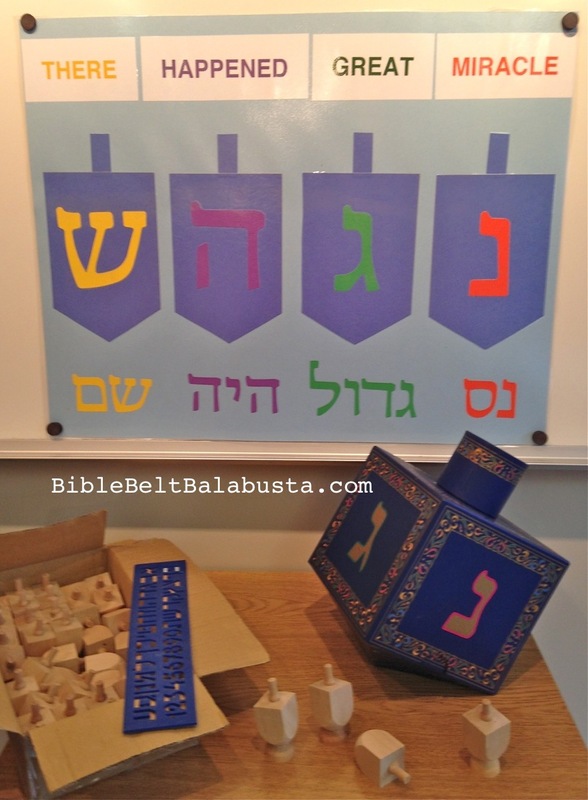 After the dreidel is dry, students usually want to paint the stand and take it home for display. 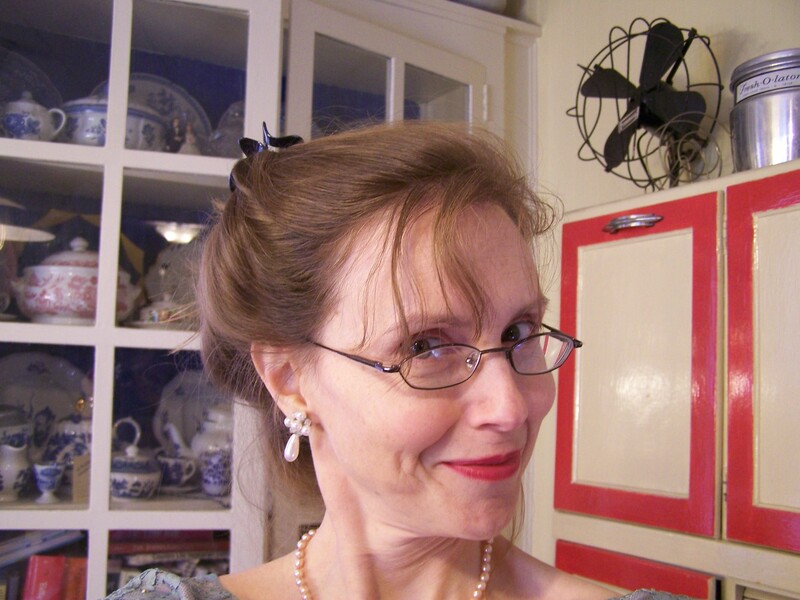 Look for bags of “Doll Pin Stands” at a craft store (for old-timey clothespin dolls). 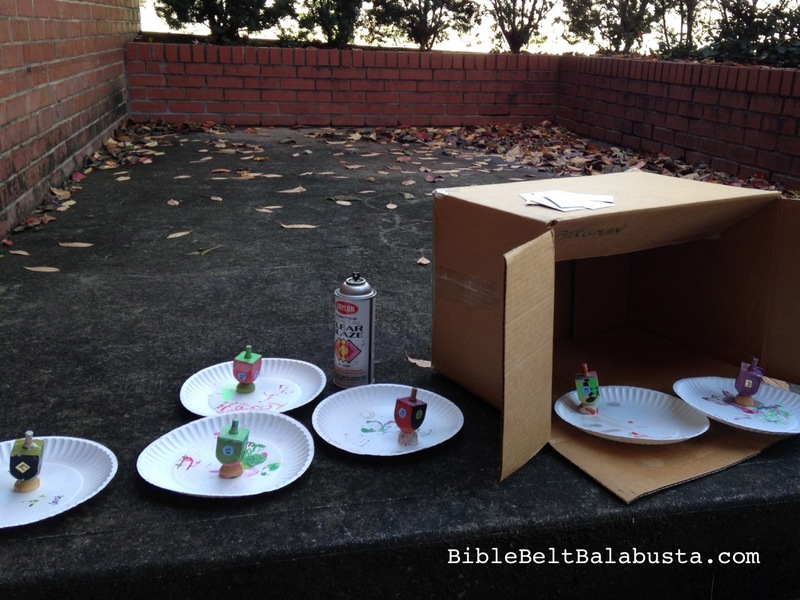 This entry was posted in Activity, Crafts, Hanukkah and tagged dreidel, Hebrew. Bookmark the permalink.